The caravan route to Kusum Kanguru takes you from Kathmandu on a scenic mountain flight to Lukla(2800m/9186ft), then a trek to Chutenga (3350m/10,990ft) then over the Zatrela pass and onto Chatrarbu(4340m/14,238ft). From here the trek continues to Kothe(3700m/12,139ft), Yak kharka(4100m/13,451ft) and onto Kusum Khangaru base amp(4780m/15,682ft). 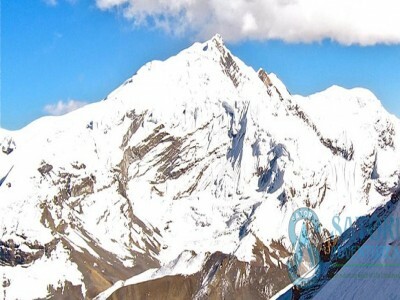 Kusum Kanguru peak offers the fantastic panoramic view of the Himalayas like Mt. 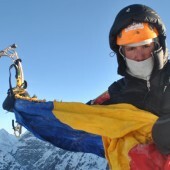 Everest (8848m/29,028ft), Cho-Oyu (8201m/26,906ft), Lhotse (8516m/27,939ft), Makalu (8463m/27,765ft), Nuptse (7855m/25,771ft), Thamserku (6623m/21,729ft), Amadablam (6812m/22,348ft) and Kwongde (6011m/19,721ft). 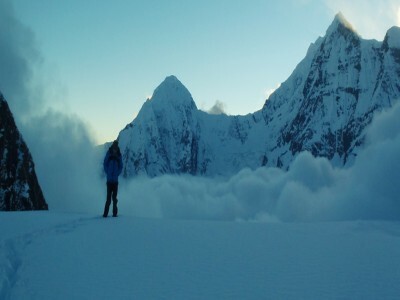 The approach to the South East Face is from the Hinku valley side. 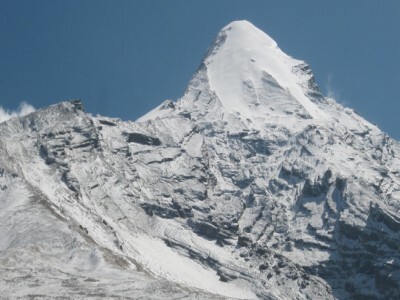 From Lukla the base camp can be reached in 5 days. 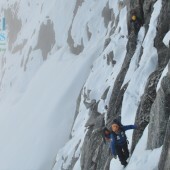 The ascent route to the main summit is through the Southeast face. 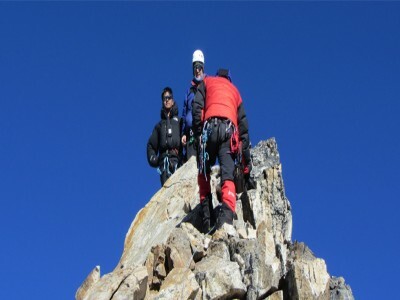 With a base camp at 4360m, two or three high camps are required to complete the climb. 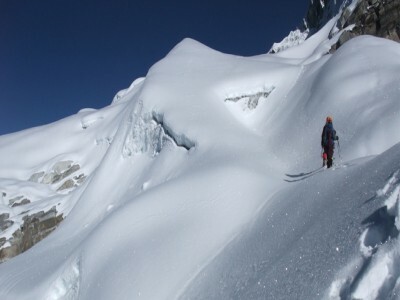 The North Ridge is approached from Monjo on the trail to Namche Bazaar. From base camp ascend steep grass and scree and finally a ramp leading to the ridge proper. 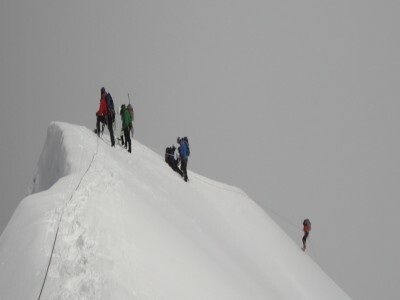 Climb the ridge to the summit. 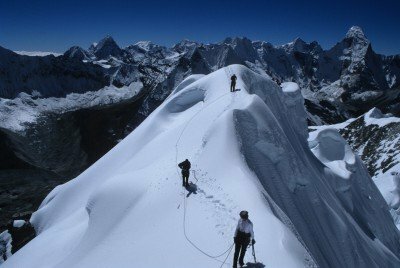 Satori recommends this climb to experienced mountaineers only but our policies for accepting clients on this 6000m peak remain the same. 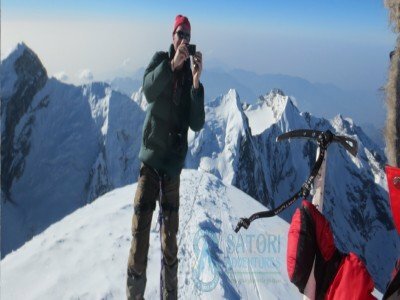 We request that the client has good physical fitness, a list of experience on British hill hikes, several base camp treks and some knowledge of rock &ice climbing. Just be prepared for a challenge if you’re coming in with the minimum requirements. 12 Sept/Day 01: Arrival in Kathmandu Airport and transfer to a hotel in Kathmandu (1350m/4,430ft). 13 Sept/Day 02: reparation, briefings at departments of tourism. Last minute shopping. 14 Sept/Day 03: Morning flight from Kathmandu to Lukla(2800m/9,186ft) 35mins.The rest of the day is spent in Lukla for acclimatization. Lodge accommodation. 15 Sept/Day 04: Trek from Lukla to Chutanga(3050m/10,006ft) 4hrs. Lodge accommodation. 16 Sept/Day 05: Trek from Chutanga to Thuli Kharka (Chatra-La) (3900m/12,597ft) 7hrs you trek via the Zatrawa La Pass (4610m/15,125ft.) 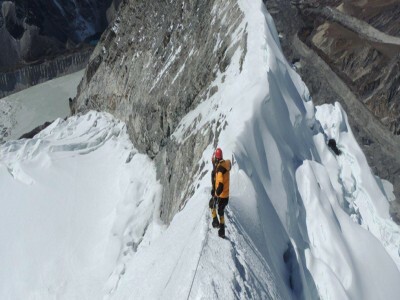 and down climb to Khartitang at (3900m). Overnight accommodation at tea house. 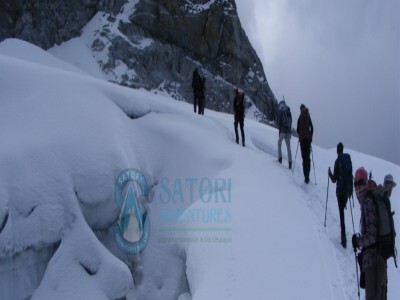 17 Sept/Day 06: Trek from Tuli Kharka to Kothe (4095m/13435ft-05hrs.) overnight at tea house accommodation. 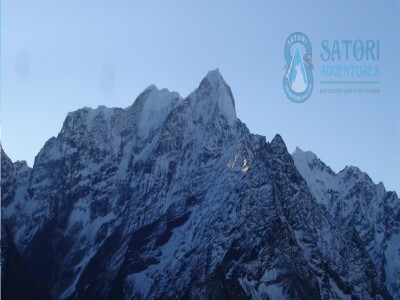 18 Sept/Day 07: Trek from Kothe to Thangnak (4350m/14,272ft) 4 hrs. 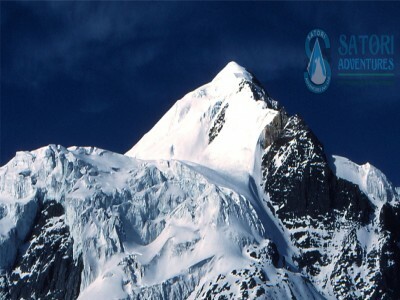 You will enjoy fantastic views of the south face of Mera peak throughout the day. 19 Sept/Day 08: Rest and acclimatization day at Thangnak(4,350m/14,272ft). 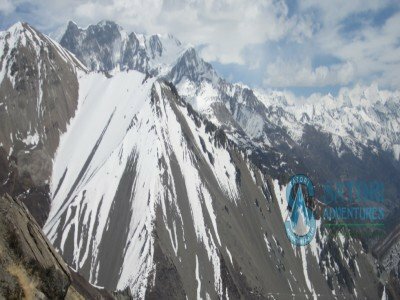 Here you will visit Sabal Tsho Lake and take an acclimatization hike to a large cairn at (5271m) on the flank of Kusum Kangguru peak (6367m). 20 Sept/Day 09: Trek from Thangnak to Kusum Kanguru Base Camp (4360m) which takes about 05 hours walking. 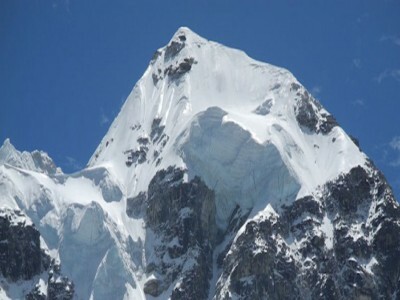 21 Sept/Day 10-11: Climb preparation and summit kusum kanguru (6367m) period. 22 Sept/Day 12: Trek from Kusum kanguru base camp to Kothe (3600m): This takes about five hours trek. 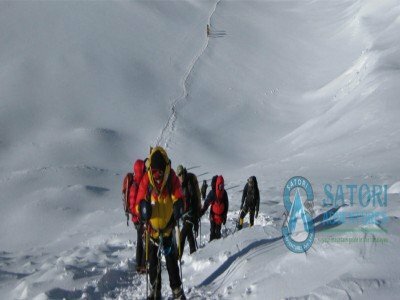 23 Sept/Day 13: Trek from Kothe to Thuli Kharka(3900m/12,597ft) 5hrs. 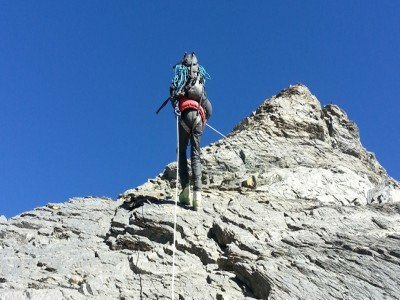 24 Sept/Day 14: Thuli Kharka to Lukla(2800m/9,186ft) via Zatrwa La Pass(4610m/15,125ft) 9 hrs. This is your last evening in the mountains; it would be an ideal opportunity for a farewell party with our staff. 25 Sept/Day 15: Fly 35minutes from Lukla to Kathmandu (1350M/4,430ft) 35mins.Transfer to hotel. 26 Sept/Day 16: Leisure day & shopping in Kathmandu; Farewell celebration dinner with culture program in the evening. 25 Sept/Day 02: Preparation and briefings at the departments of tourism. Last minute shopping. 26 Sept/Day 03: Flight from Kathmandu to Lukla. Trek to Phakding (2650m/8,694ft) 4 hrs.Lodge accommodation. 27 Sept/Day 04: Trek from Phakding to Namche Bazaar (3440m/11,286ft) 6hrs. Lodge accommodation. 28 Sept/Day 05: Rest day for acclimatization. 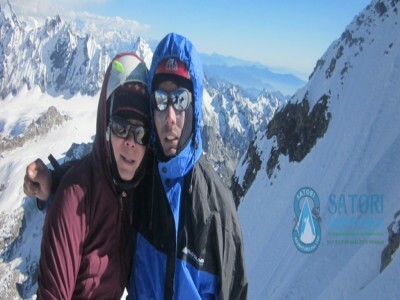 You will be hike to the famous Everest View Hotel (3800m/12487ft) 3hrs and catch a glimpse of Everest. After you can explore Hilary and Sherpa museum in Namche.In the evening they have a slide show program as well. 08 Sept/Day 15: Base camp Clean and trek to Lukla(2840m/9,317ft) 7hrs.Lodge accommodation. 09 Sept/Day 16: Fly 35mins from Lukla to Kathmandu (1350M/4,430ft) 35mins. Transfer to hotel. 10 Sept/Day 17: Leisure day shopping in Kathmandu. Fair well celebration dinner with culture program in the Evening. 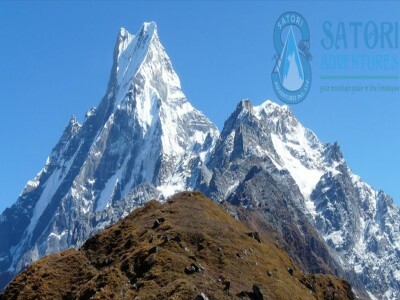 Schedule flight tickets from Kathmandu-Lukla-Kathmandu to all the climbing members & Sherpa guide. 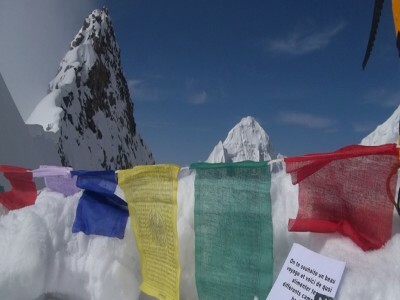 Trekking permit (Makalu Barun or Everest national park entry fee). 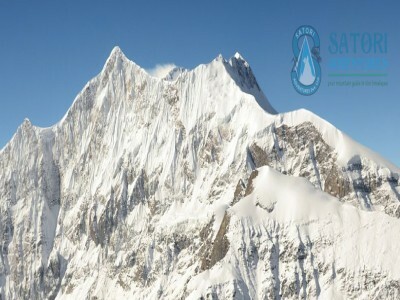 Expedition royalty and climbing permit of Nepal government to climb Kusum Kangaru peak (6367M/20,883ft). Equipment allowances and wages for, chefs & kitchen assistants. Trekking and climbing map of Kusum Kangaru.